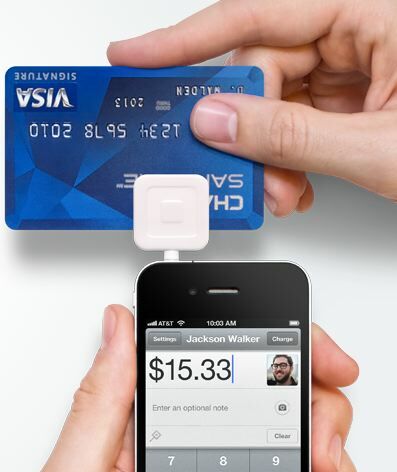 Take credit cards on your iPhone! No fees, just a percentage of 2.75%! How cool is that! I tell you all about it on my latest Cinchcast. Why you should NEVER buy an iPad with Verizon or AT&T. For @kessler This is an audio file, and easy listen with a great idea. http://www.cinchcast.com/scobleizer/181637 Author: Robert Scoble AKA The Scobelizer. Friend him on Cinchcast! Facetime is now on my iMac! Today my husband called me from his office (20 feet away from mine!) “Answer your phone! ” Well, maybe I am going to be scorched by microwaves, but every phone I owned was inches from my fingertips. “What do you mean?” I yelled back. “Oh. Mac just came out with Facetime for the computer and I thought I was dialing you. !” Well the trick is I have to go to the Mac App store and download it, which I did and there we were, 20 feet away, talking to each other through Facetime. (The picture I uploaded should have his pic in there because you can see both parties, but I already knew he would not agree to be in this pic–Heck, I shouldn’t have agreed to be in it, but having no models around, oh well.) 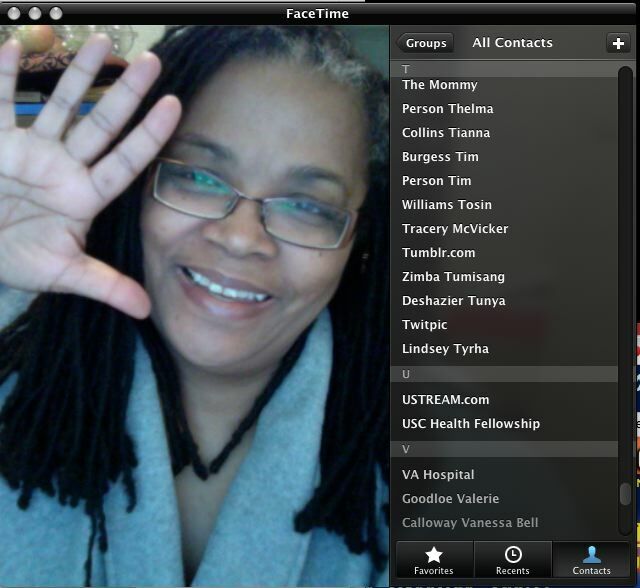 The computer version of Facetime connects through your email address. You must sign up once you download the $.99 app. It was OK, but I am a Skype girl, where you can video conference 9 people. My new friend Will always has some great suggestions for tech toys. He uses this thing called the Xshot, so you can record a vlog and actually be in the picture! Browse through his video vlogs. He’ll show you the unit! Please visit Will at Creative Soul TV at: http://www.youtube.com/user/TheCreativeJournal. Friend him!